Hitting runways this season is no other than the Messenger Bag! 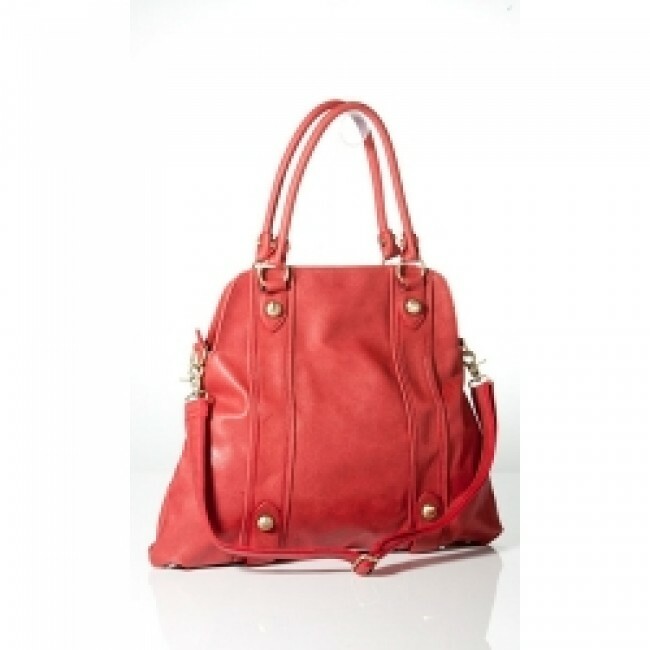 This bag was designed to give you options-shorter straps allow you to wear over shoulder or carry in hand or opt for the longer strap to wear across the body- for your many clothing choices. Exterior features: gold circular studded hardware, front zipper pocket, zipper closure. Interior features: lining, zipper pocket, and 2 patch pockets . Imported. 17"H X 20"W (at base).